Here is the Season End trip to Gokarna..!! Gokarna is not very conventionally touristy. 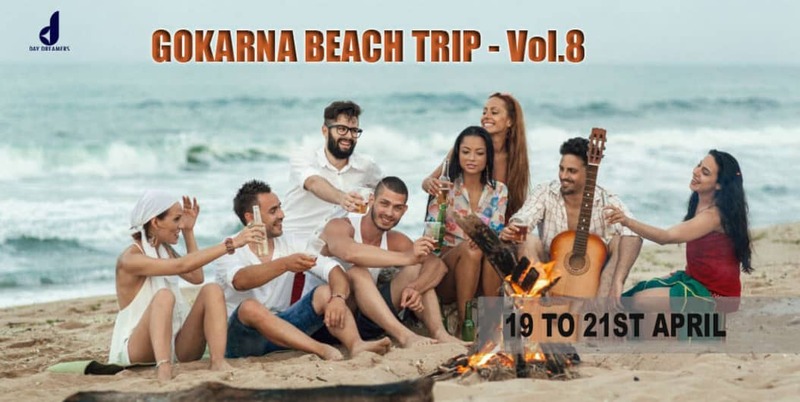 The beaches are meant for a slow, relaxed holiday and everything on the beach goes at the same relaxed pace.Gokarna is a 'one of its kind place' in the country. Reaching Gokarna in the morning. Heading to Beach Home Stays and Freshen up. Break fast will be served in the beach cafe. Post lunch visit - Holy water spot, Mahabaleswar temple via Gokarna Beach , Gokarna market (Go for Offbeat shopping). Back to beach and enjoy the sunset. Relax your time in the beach cafe's with some delicious food and beverages. After dinner enjoy Bon fire with music and lots of surprise entertainments. Early morning trek to Om beach. Enjoy sunrise and explore the beach. Post lunch visit Shiva cave. Enjoy your eve with Delicious Food , Drinks in the Beach Cafe's..! !